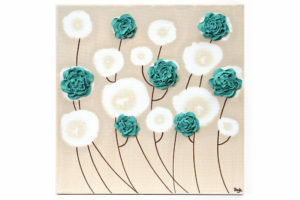 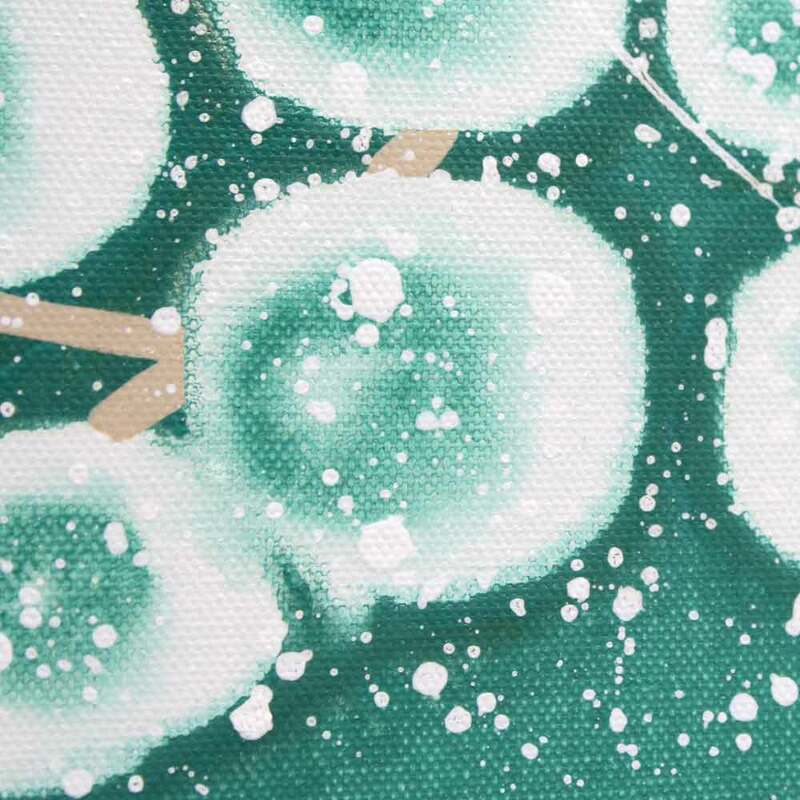 Add this teal painting as a focal point above a queen bed in a teal and brown bedroom. 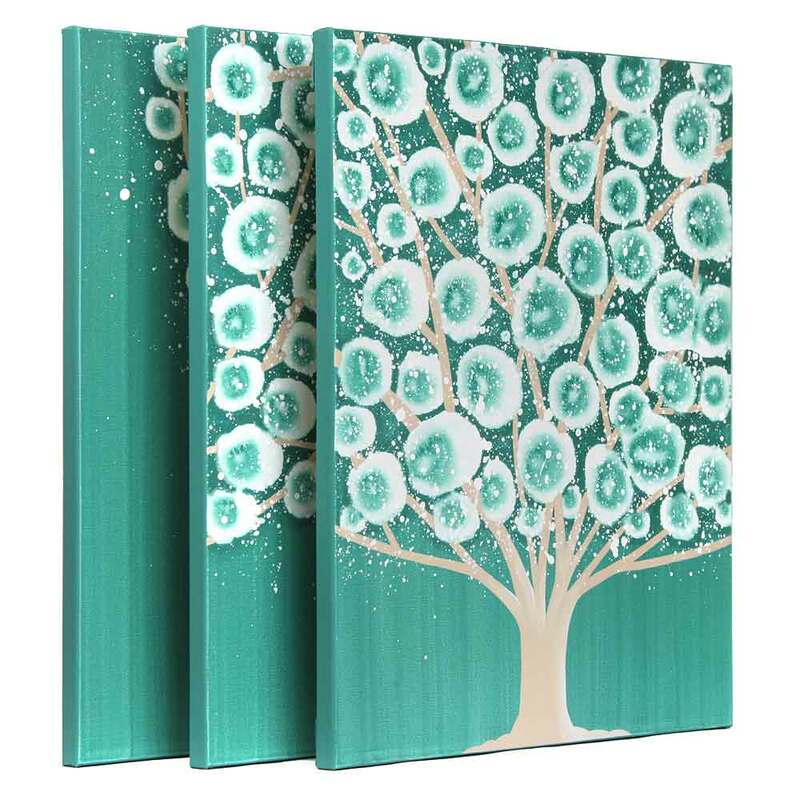 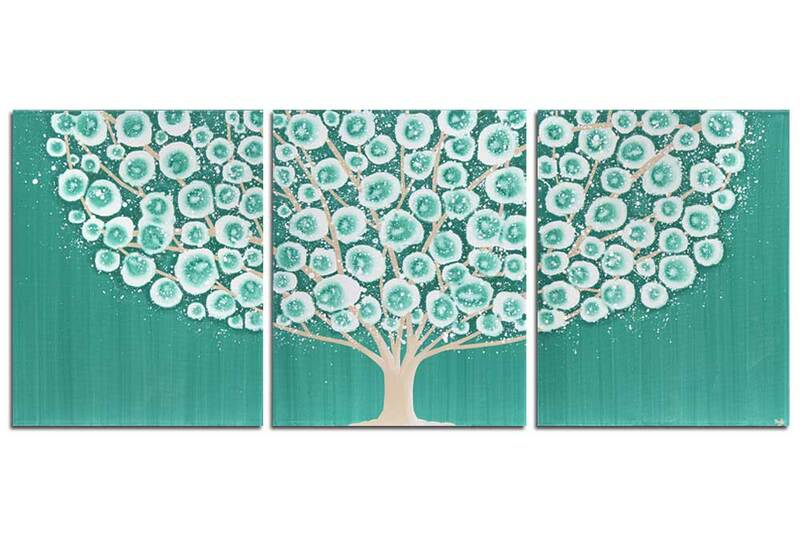 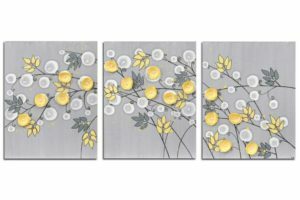 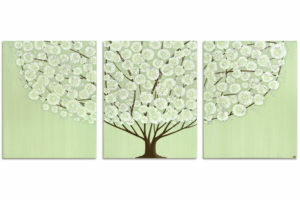 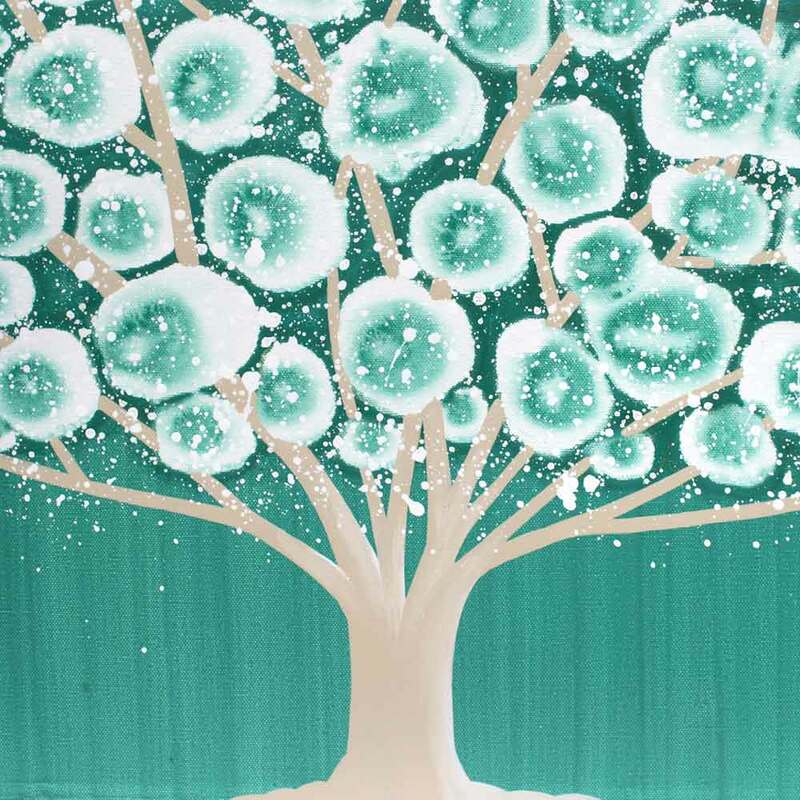 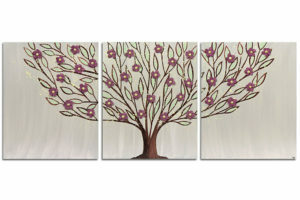 This tree wall art is hand-painted on three canvases that hang as one large triptych. 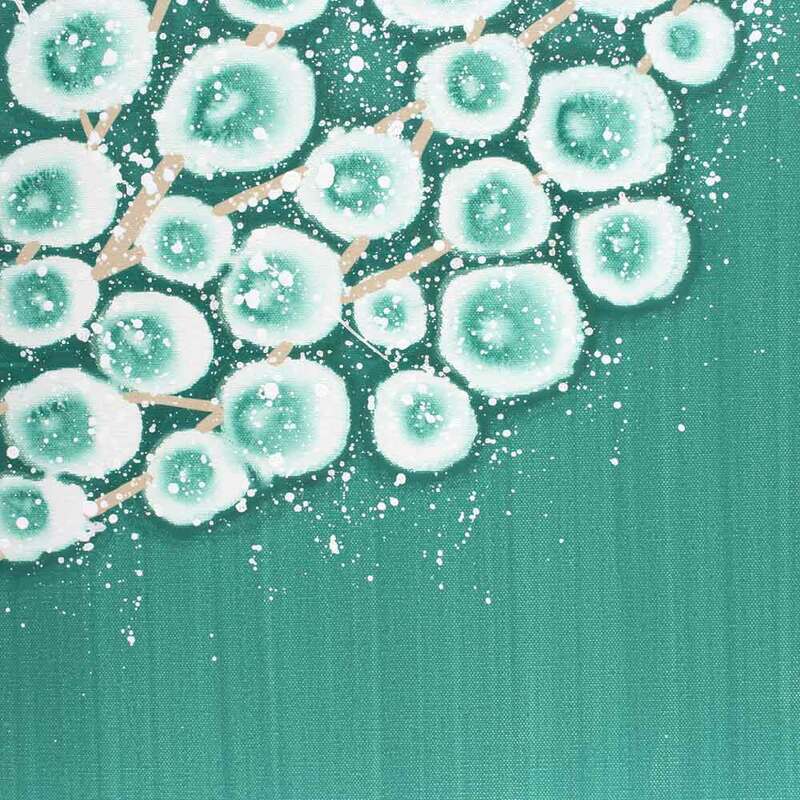 The tree top is scattered with white circles and speckles.